PROspeed is the new and exclusive self-adjustable speed system with inverter technology, available on selected John Bean Tyre Changers sold by Snap-on Equipment. Snap-on Equipment points out that the feature is included in both their T5345-25 & T7300 models as standard. 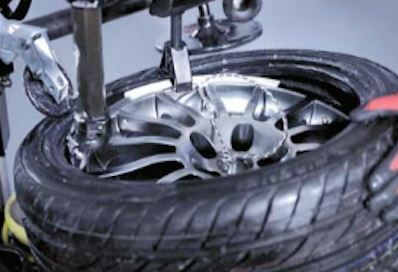 Other benefits include its use of the maximum possible speed, up to 18 rpm, which reduces cycle time and increases productivity, and its inclusion of a powerful pneumatic bead assist device, which is an indispensable accessory for mounting and demounting tyres that are difficult to handle. Examples of these would be low profile and run flat tyre systems or tyres with hard sidewalls. It is an optimum complement to a tyre changer. During the demounting operation, the bead pusher presses the upper bead into the drop centre of the rim so that it can be easily levered over the mounting head nose and finally demounted without any effort. During the mounting operation of the upper bead the disc retains the bead under the mounting head nose. The bead pusher follows rotation of the wheel, doing the otherwise tedious job of the operator, while preserving both tyre and rim. The pneumatic bead assist device is an optional extra for John Bean Tyre Changers from T1300 (MH 310 pro) up to T5540 2S series (MH 320 pro) and can be easily fitted by the customer.